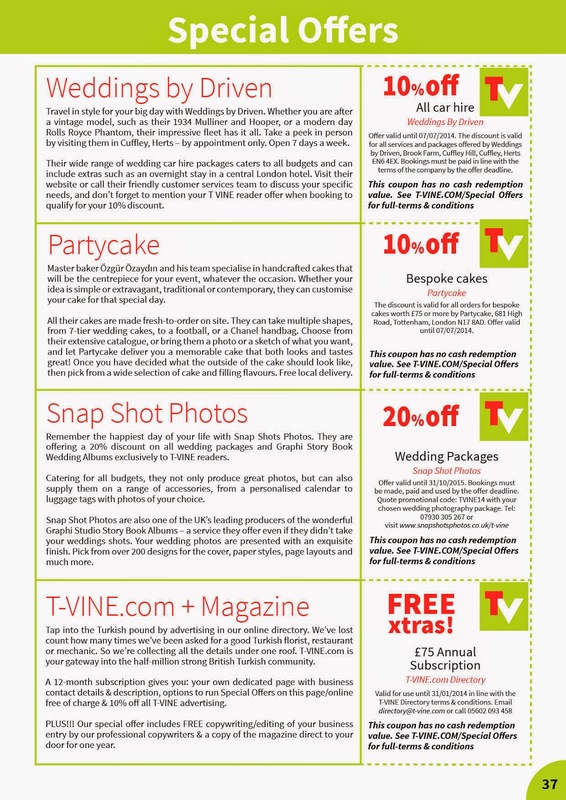 T-VINE Issue 6 being a wedding special edition, we have a fair few wedding-related Special Offers. They include wedding car hire courtesy of Weddings by Driven, wedding photography from Snap Shot Photos and wedding and special occassion cakes by Partycake in Tottenham. See below for details and if you can't get hold of the magazine, just download, print & use this digital Special Offers page in line with our terms and conditions. 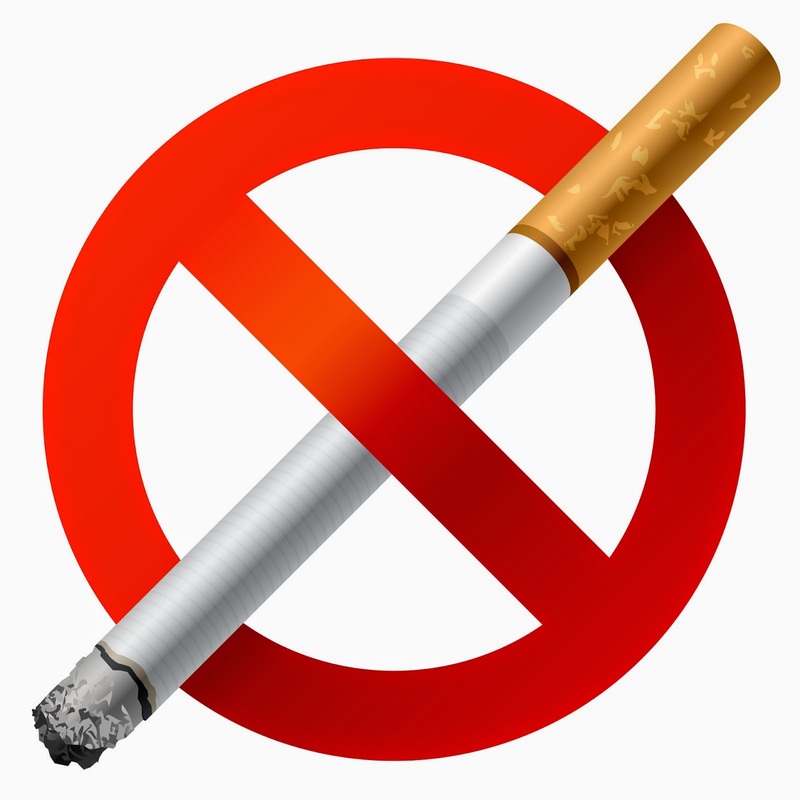 Every March, the UK runs its annual No Smoking Day to encourage smokers to quit. According to health charity ASH, there are some 10 million adults who smoke cigarettes – about a sixth of the total UK population. It’s a big drop from 1974, when 51% of men and 41% of women smoked. 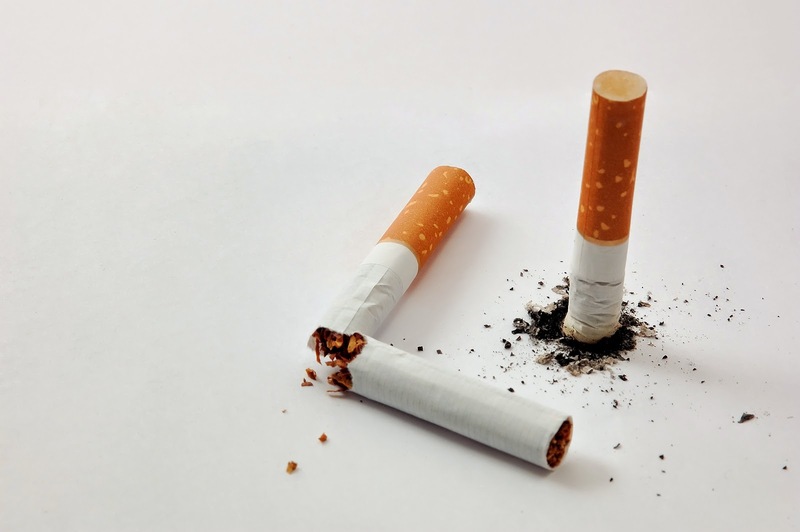 Each year, 100,000 deaths are attributed to smoking; it’s estimated that roughly half of all smokers will eventually die as a result of their addiction. Smoking accounts for over one-third of respiratory deaths, over one-quarter of cancer deaths, and about one-seventh of cardiovascular disease deaths. Step 1: Think about quitting. What is it that makes you want to stop smoking? Is it to feel fitter and fresher, to have more money, or simply to live longer to be around for your kids? Every positive reason will add to your resolve. Step 2: Get prepared. Quitting is more than just willpower; it’s getting practical about where the likely temptations will arise and putting measures in place to deal with these. Talk to your pharmacist who can assess your needs and recommend the best solutions. Step 3: Set a date. Many people struggle if they try to stop gradually, so it’s better to focus on a cut-off point. Make sure the necessary help you need, from the Smokefree programme to nicotine replacement therapies (NRTs), is in place, and then have your last cigarette. Step 4: Stop for good. It can take a few attempts to quit. The key is to keep believing you can do it and to learn from any failed experiences in order to succeed in the future. There are multiple techniques and NRTs on the market, so if the ones you first try don’t work, get help and try another way. Here are a few of the NRTs available from your pharmacist to help deal with cravings – those on a low income may be eligible for help via a free prescription. Nicotine patch available as a 16-hour or 24-hour patch. The longer one can affect sleep. However a 16-hour patch often means needing an NRT booster in the morning as the patch can take 30 minutes to work. 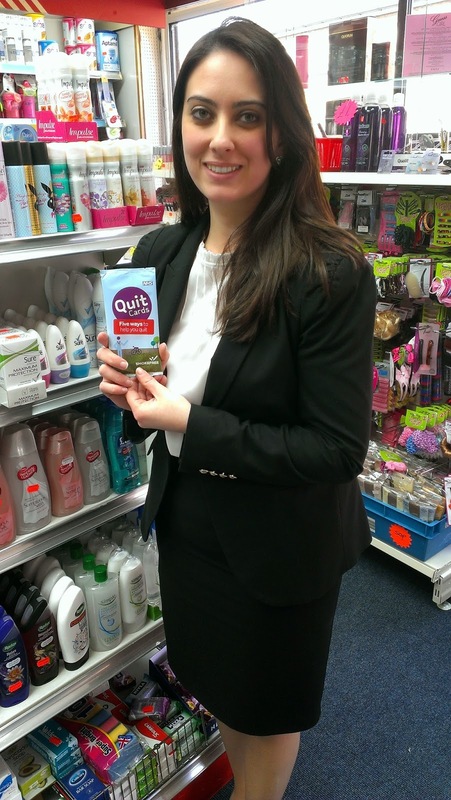 Nasal spray is the fastest-working and one of the most effective NRTs, and is particularly good for heavy smokers. Just spray into your nostril releasing nicotine into your system, which is quickly absorbed to give you instant relief from cravings. Oral strips are a thin film strip that dissolves on your tongue, again giving instant relief. Often used with a patch. Mouth spray: similar to a nasal spray, but for the mouth and again used in conjunction with a nicotine patch. Electronic cigarettes contain a liquid cartridge with nicotine, solvents and flavours. As these products have yet to be regulated by the MHRA, it’s best to buy them only from a reputable pharmacy. Avoid unknown online shops as the chemicals in e-cigarettes could vary from anti-freeze to carcinogens. The NHS runs a 12-week programme, which can be overseen by your pharmacist, helping you through the planning and treatment process. If you are struggling with nicotine, your doctor can also prescribe alternative medicines for you, such as Champix or Zyban. There are also helplines and support groups – so you don’t need to feel as if you are quitting on your own – and even a Smokefree app so you can see how much money you’ve saved and get useful personalised tips, including how to combat cravings, directly to your phone. It all starts with one positive decision: that you want to quit smoking. You can do it! About the author. Feriha İbrahim is a fully qualified pharmacist, graduating with a Masters Degree in Pharmacy from Kings College, University of London, in 2004. 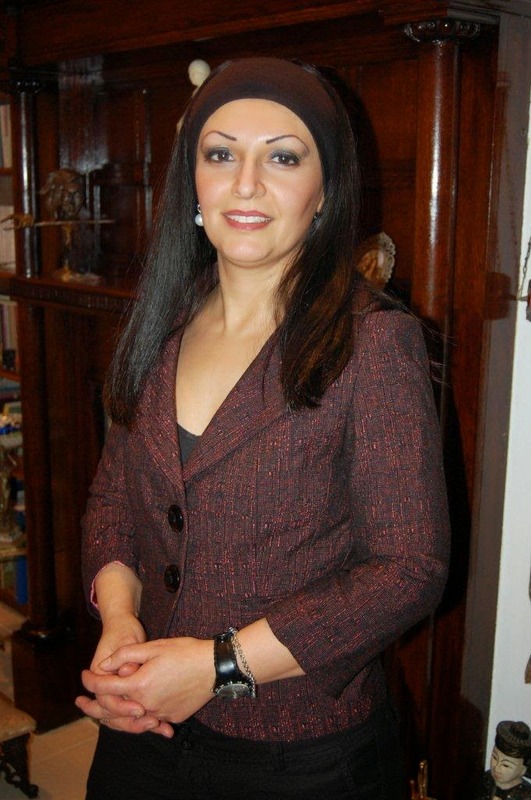 Together with her family, she runs the two branches of Woodside Pharmacy located in Leytonstone E11. She joined the T-VINE editorial team in April 2014. 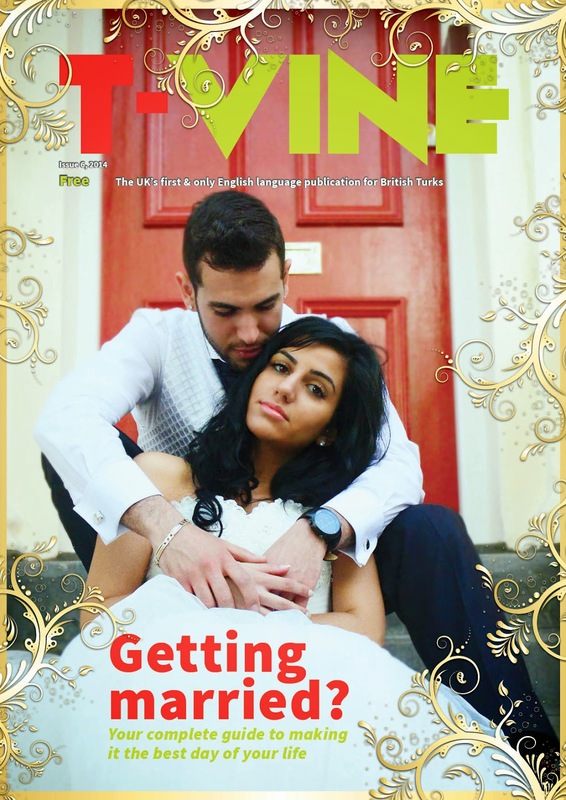 Our front cover is of gorgeous couple Mehmet and Havva Turker, taken by photographer Kerim Mehmet. 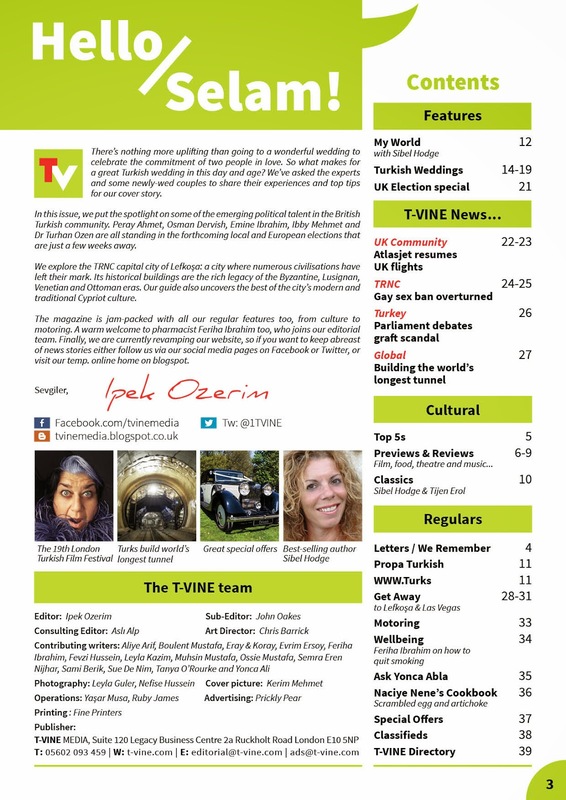 Inside we have dedicated six pages to Turkish weddings, plus a host of other news and regular features. See below for the full Contents. My heart is bleeding as with many millions in Turkey. My soul is crying as with many millions in Turkey. And my mind is numb as with many millions in Turkey. With any form of logic and reasoning, I try to understand what happened in SOMA, I try to give sense and try to comprehend the coal mine disaster in a rational way and without emotions. But it doesn’t work, as it didn’t work for many millions in Turkey. Any government has the right to wish for the best economic future for its country. Any government has the right to wish the most advanced technology for its country. Any government has the right to wish an improvement in the infrastructure for its country. Any government has the right to wish to become one of the most powerful nations in the world and has the right to wish to be a leading country in the world. But this right carries with it one condition: HUMAN LIFE is more precious than profit! The wellbeing and the safety of citizens in a strong country is the priority of government. People’s education and their economic progress forms an integral part of a government’s constitution. A government is only strong if it provides welfare for its citizens. A government is only strong if it protects civil rights of its citizens. Therefore, a strong leading country in the world has a vibrant Welfare State. More than Welfare is the existence of a Social State. If a government claims that its economy is improving that means that the welfare of its citizens is also improving. Welfare and the Social State is the foundation for an economically sound and strong country. It is a ‘must-have’ condition. On the 13th of May across the world what we witnessed in SOMA sadly did call attention to the fact that Turkey is still not a Welfare State; therefore we cannot speak of an economically strong country. 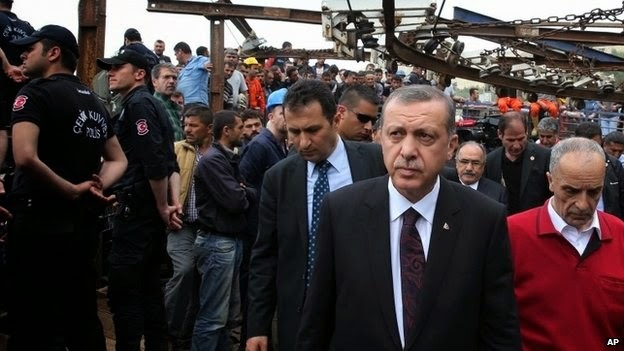 At the dawn of the 21st Century, a leader of a strong country cannot give a speech comparing the tragic mining disaster in SOMA with historical accidents that occurred in the 19th Century. But the leader of Turkey did just that. With his speech he confirmed Turkey is still stuck in the 19th Century mindset, which contradicts all his past speeches about the social and economic growth of Turkey and its relative position in the world. I cry with many millions of people in Turkey for the 301 miners who died and those injured, in the coal mine disaster in SOMA. Like many millions in Turkey, I am trapped by these feelings like the miners in the dark coal mine shaft in SOMA. 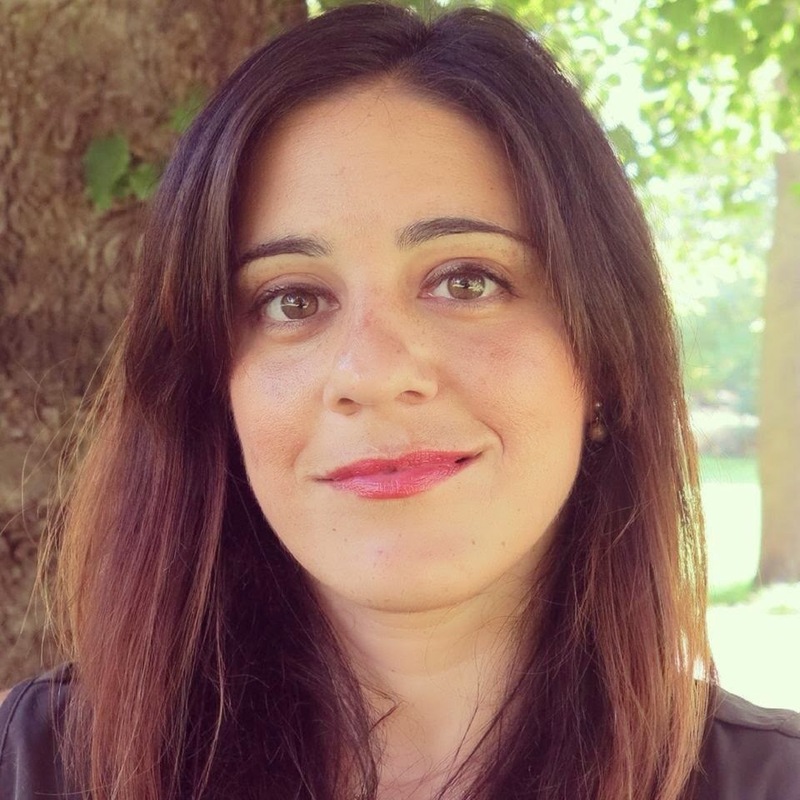 Our final interview in T-VINE’s series on the next generation of British Turkish politicians is with Peray Ahmet, a Labour councillor candidate in the London Borough of Haringey. As friends and family will testify, she is passionate about fighting for social justice and equality, and feels she is at a stage in life where she wants to give back to her local community. 1. Which wards are you nominated to contest? Noel Park (Wood Green) in the London Borough of Harringay. 2. Describe the selection process: how many people were you up against? You apply and then get interviewed by a panel of external people (Labour councillors from other boroughs). You then apply to the wards you are interested in by expressing an interest. If you are shortlisted by members of the ward you have to attend a selection meeting. At the meeting all short listed candidates give a speech and answer questions, after which point the members vote for the three people they want to see as their councillor candidates. For my ward in Noel Park, there were 23 members present at the selection meeting. 13 potential candidates were short listed of which three of us were chosen. 3. What is your current job or profession? I currently work in local government in the area of commissioning and procurement. 4. Why Labour? What motivated you to get so active in local politics? Labour is my natural home. 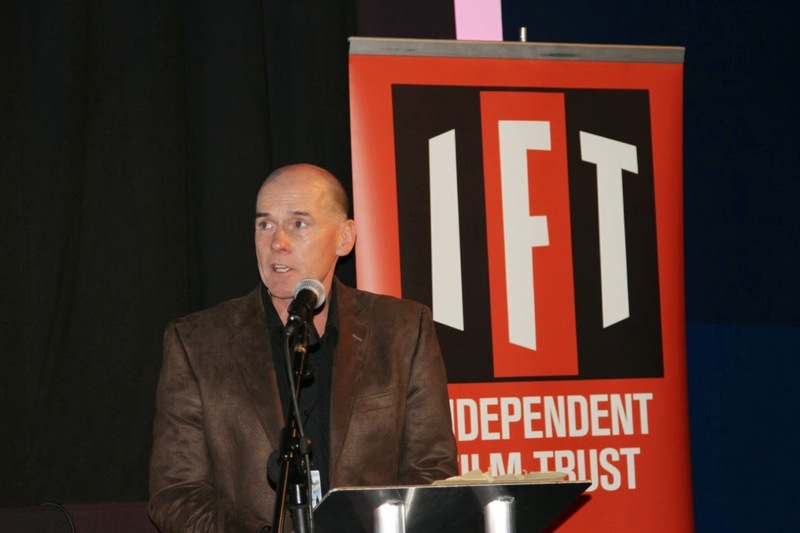 Ideals of social justice and equality as well as a track record of tackling social and class divisions – both locally and nationally. I got involved because I believe I am at a stage in life where I have something to offer, both with regards to my personal commitment and my skills and knowledge gained from many years in local government. Fighting to defeat the Coalition government is also high on my list of reasons. We have seen living standards drop considerably and I for one want to play my part to bring about an end to this. 5. What happens between now & the local elections? We campaign hard. We meet with all the relevant organisations in our local areas and we ensure that we get to know our residents and listen to what they expect from us as elected members. We work on specific campaigns such as the 'cost of living crisis' and 'betting shop proliferation'. Linking in with local residents associations, the local police etc is vital. 6. What can British Turks in your wards expect from you? They can expect me and my Noel Park team to work hard to take their concerns on board. Issues that British Turks have will be similar to those of other groups and we must be absolutely clear on this point. In Haringey we have a strong tradition of working together as communities. We have Greek Cypriot and Kurdish candidates and existing councillors who we are working closely with. My role will not be to be divisive but to look to build bridges where possible. A new Turkish festival planned to take place at Trafalgar Square this Saturday has been cancelled. 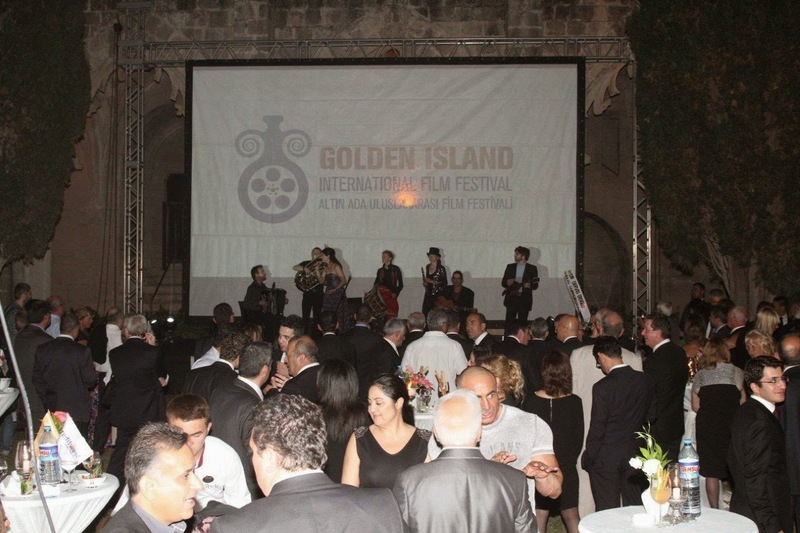 The organisers of a Turkish Day in London made the announcement yesterday, stating that the “continuing tragedy of [the] mining accident at Soma. Turkey” meant they could not “justify celebrating at Turkish Day in London”. 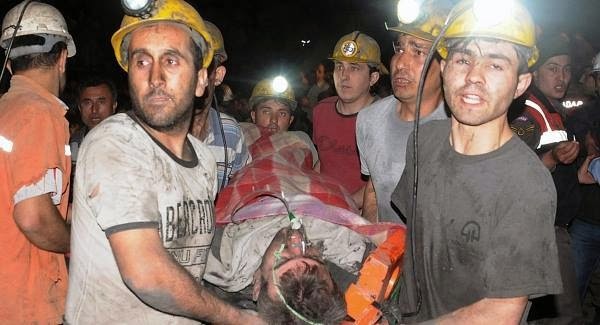 Over 280 miners have been killed following an explosion in the Soma mine in Manisa, western Turkey. With hundreds more trapped below ground, the death toll is expected to rise still further, making it Turkey’s worst-ever mining disaster. The tragic scenes from Soma have plunged the entire country into grief and yesterday the Turkish government declared three days of national mourning. Dear Turkish Day in London Community. Turkey is continuing to suffer the tragedy of yesterday’s mining accident at Soma. Turkey has lost hundreds brave miners and the situation continues to develop. Families, friends and colleagues of those that have passed away are experiencing unimaginable grief and suffering at this time. We therefore cannot justify celebrating at Turkish Day in London so soon after this catastrophic event or, as the case may be, whilst it is still unfolding. 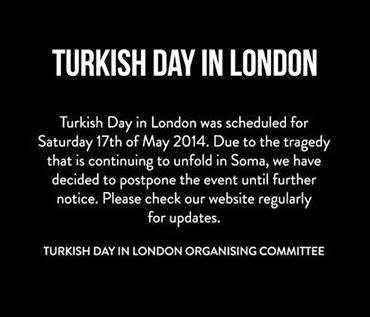 To that end we have decided to postpone Turkish Day in London until further notice. We hope you, as a community who have shown extraordinary enthusiasm to celebrate Turkish and Anatolian culture can understand our decision. Our thoughts are with the survivors and the families, friends and colleagues of those that have passed away. 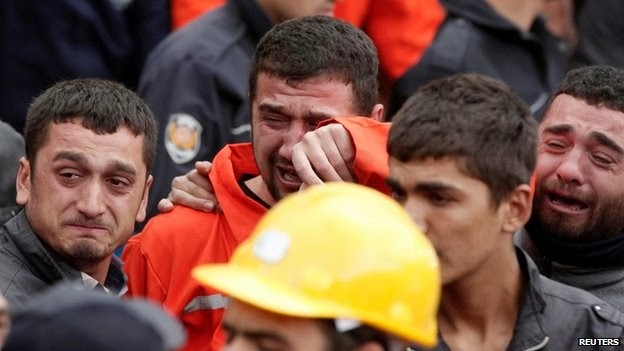 The Turkish government have declared three days of national mourning in response to the mining disaster that has claimed the lives of at least 232 coal miners. Some 800 miners were down in the pits in Soma, Manisa, in the west of Turkey, when an explosion occurred yesterday evening. The accident is one of the worst in Turkish mining history. Turkish Energy Minister Taner Yıldız said a fire broke out following an explosion at a power distribution unit at the Soma mine on 13 May. Rescue teams worked through the night trying to reach the many men trapped underground. Most of the 232 victims were killed through carbon monoxide poisoning and a further 80 injured. Some 300 miners remain unaccounted for. 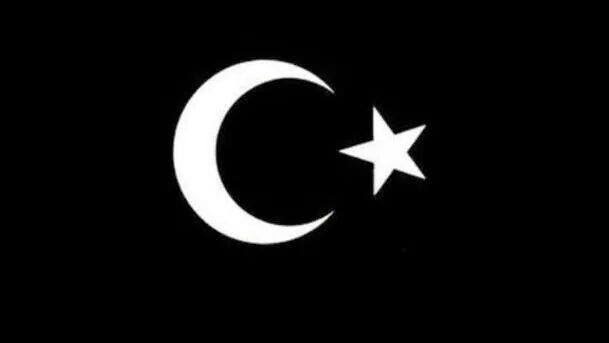 Following the tragic events, Yıldız announced earlier today there will be three days of national mourning. Flags across Turkey are being flown at half-mast while many concerts and the planned weekend celebrations for the annual 19 May Youth and Sports Day have been cancelled. President Abdullah Gül and Prime Minister Recep Tayyip Erdoğan have postponed their official overseas visit to China and Albania respectively, so they can visit the Soma site instead. In a press conference earlier today, the Prime Minister expressed his deepest condolences to the affected families and the nation at large, He praised the efforts of the rescue teams and said the government was doing all it could to assist and will continue to devote resources both to the rescue and to help those affected by the tragedy. He also pledged to investigate the causes of the accident. 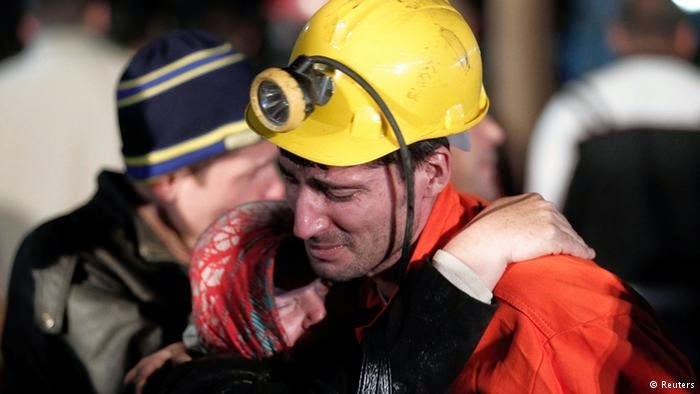 While Turkey mourns and prayers are offered for the safe rescue of the remaining miners trapped underground, serious questions are also being asked of the Turkish government’s failure to act on previous warnings about the Soma mine. In his opinion piece today, Hurriyet Daily News editor Murat Yetkin says the Turkish Energy visited the Soma mine nine months ago and praised ‘the quality of safety measures and levels of technology produced in Turkey’. 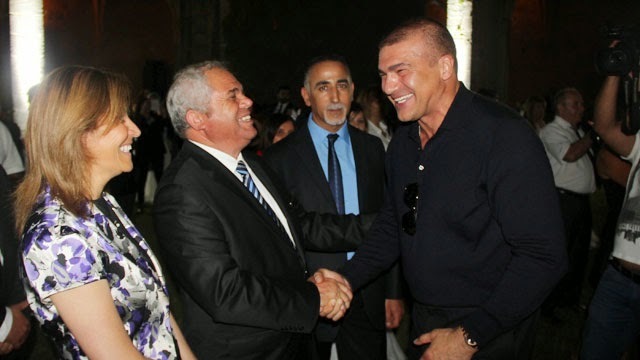 Yetkin also recalls an interview given in 2012 by the Soma Mining owner Ali Gürkan who said the company had managed to drop the cost of coal from $130 to $24 per ton by manufacturing the electric transformers themselves instead of importing them. The company also hires subcontractors with lower salaries instead of workers who belong to the Maden-İş trade union. “In 2013, 5,000 occupational accidents took place in Soma district. Ninety percent of these accidents took place in mines. Burn injuries share a considerable number of all mine injuries. However, hospitals in Soma lack the necessary burn units, and time is wasted on the road in transferring such injured workers to nearby hospitals”. Last year, another Manisa MP, CHP’s Özgür Özel submitted a motion to Parliament to investigate work-related accidents at coal mines in Soma. The proposal was debated a few weeks ago and while all the opposition parties backed the motion, it was rejected as MPs from the ruling Justice and Development Party (AKP) voted against it. In the debate, Özel claimed Turkey topped the occupational accidents list among European countries and ranked third worldwide in terms of accidents. Akçay added, “Workers die an average 8.5 times more in Turkey than in the European Union. There were 880,000 occupational accidents between 2002 and 2013, and 13,442 were killed in these accidents”. Turkey has experienced several serious mining accidents before. Its worst was in 1992 when a gas explosion killed 263 miners near the Black Sea port of Zonguldak. According to the International Business Times, Turkey is the world’s 13th largest coal producer and generates one quarter of its electricity through coal-fired plants, with much of the coal mined in the country used for domestic consumption. However, its safety record has been repeatedly questioned given its ongoing problems in multiple areas, including: a lack of air ventilation in mines, deficient early warning systems and a lack of mine auditing. A report by the country’s Mine Workers Union claimed that between 2000 and 2008 there were 25,655 accidents in the state-owned Turkish Coal Corporation (TTK) mines, with 26,324 injured and 63 miners killed. According to the Chamber of Mining Engineers of Turkey, the fatalities grew significantly in one 12-month period, with 135 miners losing their lives in accidents between 2008 and 2009. The causality list for miners continues with a series of fatal accidents. In December 2009, 19 miners were killed by a methane gas explosion in Bursa Province. In February 2010, 13 miners died in an explosion in Balikesir Province. A few months later in May, another mine disaster claimed the lives of 30 people in the Karadon coal mine owned by the TTK. In November 2013, 300 miners barricaded themselves in a Zonguldak mine in protest at working conditions. Dr Turhan Ozen forms T-VINE's fourth interview with the next generation of British Turkish politicians as part of our 2014 UK Election series. 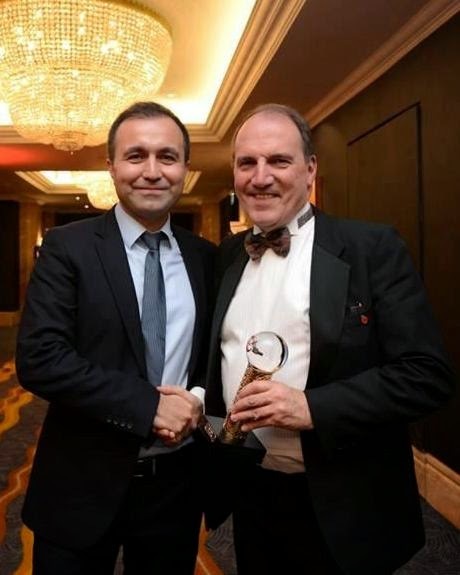 A co-founder of the Liberal Democrat Friends of Turkey and on the executive for the Ethnic Minority Liberal Democrats, he continues to work hard to champion equality and human rights for all. 1) When were you selected as a Liberal Democrat London MEP candidate? I have been a Liberal Democrat London MEP candidate since 1st December 2012. 2) Describe the selection process? How many people were you up against? In order to be a candidate in any elections you need to be on the party-approved list of candidates. This is a process that assesses your command on the liberal democrat policies, as well as vital skills needed in a good candidate to represent the party. The selection process for European parliament candidates started in July 2012. More than 20 approved candidates came forward. We all took a written exam and went through interviews. At the end of this round 10 candidates were shortlisted. At the last round of the selection, after all 10 candidates were given three months to campaigning time, all London Liberal Democrat members voted to select eight candidates. 3) What is your profession/current job? I work as a software engineer in a finance company. We develop software products for trading on stocks and shares. 4) When & why did you join the Liberal Democrats? In 2007 Baroness Hussein-Ece was a councillor in Islington. I read in the papers that she was a candidate in Greater London Authority elections. I volunteered to help in her campaign and after a year of campaigning, in 2008, I decided to join the party myself. What I treasure most about being British is the liberal values of allowing every individual to be who they are and what they want to be. I wish to protect this ideal with all I have. 5) What can British Turks expect from you / Lib Democrats if you are elected? Democracy at its best is one where public is represented fairly. Otherwise, the views and concerns of a section of the society would not be taken into account when decisions that affect their lives are taken. There is a big Turkish-speaking community in the UK and their participation in British politics is not as good as it should be. I am hoping to encourage more people to come forward by running for public office. As both a Turkish and a Kurdish speaker, I am always accessible to British Turks. However, they do not need to wait until I get elected. Liberal Democrats are in Government, we are running many local councils and we are the main opposition in many others. Lib Dem MEPs are the most effective British MEPs in the European Parliament. If you need help with any problem, do not wait, get in touch please. I would like to ask T-VINE readers to take it upon themselves to warn people around them about the dangers of UKIP. The language and tactics that they are using to convince the public to support their vision of an isolated Britain that looks inwards instead of a confident, outward-looking Britain that is integrated in the world, has started to poison other major political parties. Only Liberal Democrats have been confronting their stance on Europe, and immigration. Businesses have already started to put their investment plans on hold because of the uncertainty about our future in the EU. Thousands of jobs in the UK depend on our presence within the EU. By working together with our EU partners, we have been able to fight effectively against global challenges such as crime and climate change. We need to make sure that our ability to create jobs, make favourable trade deals, and fight global problems is not endangered. 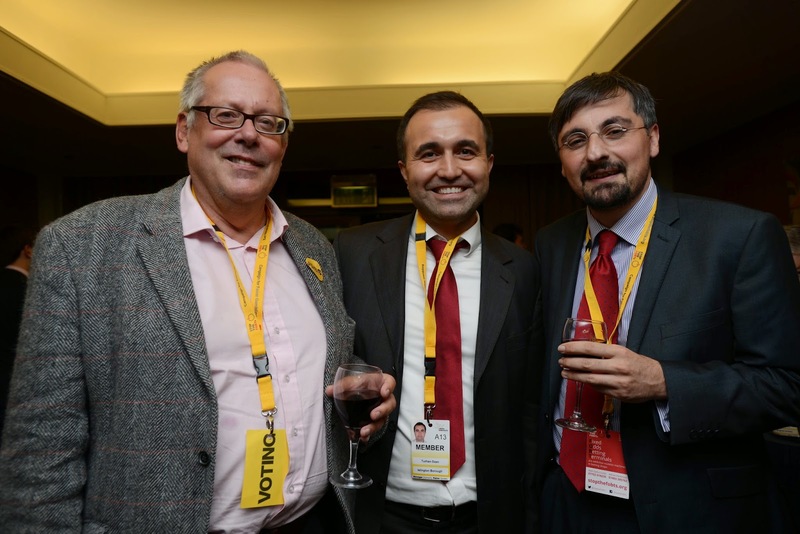 The third in our series of five 2014 UK Election interviews with the next generation of British Turkish politicians, we talk to Ibby Mehmet. 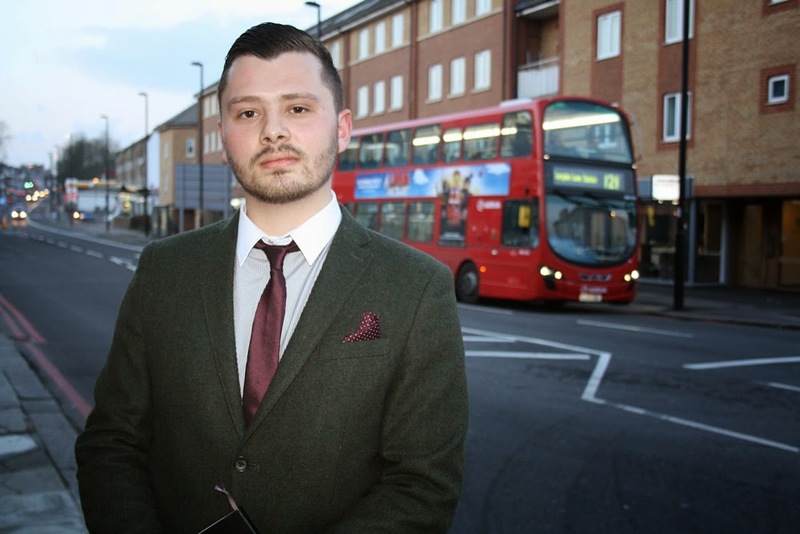 Just 27 years-old, the councillor candidate for Colyers in Bexley already has an impressive track record: he is the first Turkish Cypriot student to be elected President of a British university’s students’ union, he is a political advisor the Qatar Embassy, and he is passionate about championing "Labour values". 1. When and why did you join Labour? I joined Labour because I’m passionate about social justice, equality and helping the most vulnerable in society. I am a proud trade unionist and have always believed that the Labour Party is the voice of the underrepresented and the working class backbone of society. I first got involved while studying Law at the University of Essex, and started campaigning in the 2010 local elections. Since then I’ve always stood up for Labour values and fought to get our party back into government. 2. What prompted you to stand as a councillor, when were you selected and for which ward? I was selected in 2013 to be a council candidate for Colyers Ward in Bexley. I have also recently been selected as Labour’s parliamentary candidate for Old Bexley and Sidcup. I’m standing for election because I’ve seen the damage caused by this government’s failed economic plan, and I want to do something about it. The rising cost of living for hard working people, the cuts to frontline services, which help the most vulnerable in our communities, a housing crisis that the government has done nothing to stop: I want to tackle these issues and use my local knowledge to improve people’s lives. 3. Describe the selection process: how many people were you up against? All Labour members can stand in the selection process, and local members vote to decide who they want to represent them. I was up against four other candidates for the council candidate selection and nine for the parliamentary selection. Both contests were very demanding as I was the youngest of all the candidates, and I’m honoured that local Labour members put their trust in me. 4. What is your profession/current job? I work full-time as the Democracy and Governance Manager for Goldsmiths Students’ Union in the University of London, and I also work part time as a political advisor to the Qatar Embassy in London. 5. What are the most pressing local issues for your constituents? Currently the council is controlled by the Conservatives, who are letting the Coalition’s cuts destroy our local services without a challenge. There’s a wide range of issues affecting residents, from threats to our hospital to businesses struggling to make ends meet. The biggest problem by far that my constituents are worried about, however, is the rising cost of living. Families are £1,600 worse off since 2010 and only Labour can offer a real alternative to this disastrous Coalition government. 6. There is a sizeable British Turkish community there. How visible are they within the wider community and how politically active are they? The Turkish community are of huge value to the local area and I’m proud to represent them on the political stage. Some of the most successful local businesses are Turkish, and our schools and local charities thrive because of the Turkish community’s input. This government’s economic policy, however, is disproportionately affecting people from minority communities and driving them away from politics. I want to stand up for all groups in our community and make sure that politics in this country works for everyone, not just a few Tory millionaires. 7. What can people expect from you if elected? I believe that politics is strongest when everyone gets involved and makes their voice heard. If elected, I will be a strong advocate for the local community and ensure that the decisions which affect my constituents work to their benefit. This means getting a strong grassroots community movement in place to ensure that there is a two way dialogue between government and local residents. 8. What are your views on Cyprus? I am a firm supporter in the reunification of Cyprus; I say that proudly. The island has been divided for too long and I hope that the upcoming peace talks will be a step towards bringing all peoples of Cyprus together. Turkish Cypriots can be proud of our cultural heritage without having to rely on nationalism for a greater sense of identity. I look forward to a reunified Cyprus where future generations can work together with their Greek Cypriot neighbours in peace and harmony. 9. Any notable life achievements to date? I was the first Turkish Cypriot student to be elected President of a British university’s students’ union. 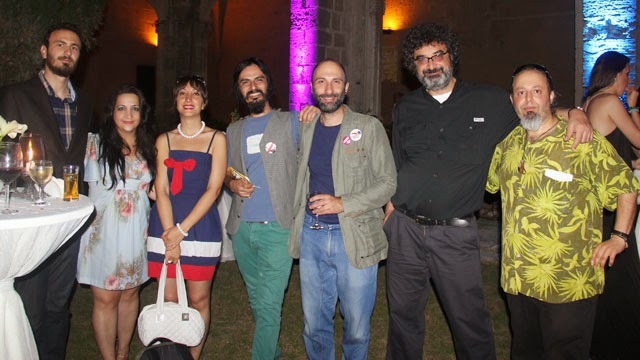 Also, whilst working with NGOs in Malta, I co-ordinated support for the Libyan community during the 2011 uprising. I campaigned for the government to assist the families of Libyans living on the island and was invited to speak live on television with the then Prime Minister of Malta.